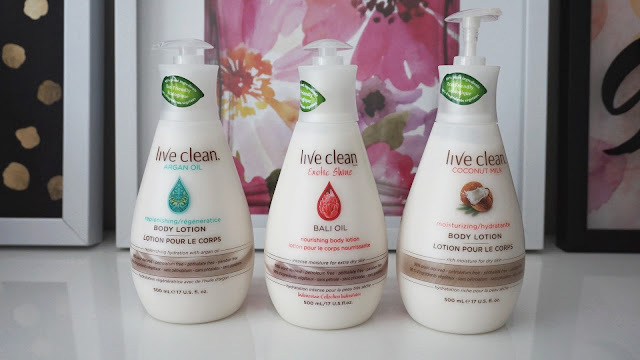 I have been a big fan of Live Clean products as mentioned on the blog several times in the last year or so, I used them during my pregnancy and now use it with my baby boy. My husband also enjoys their products as well and we use them as much as possible in our household - from handwashes to haircare and body products. 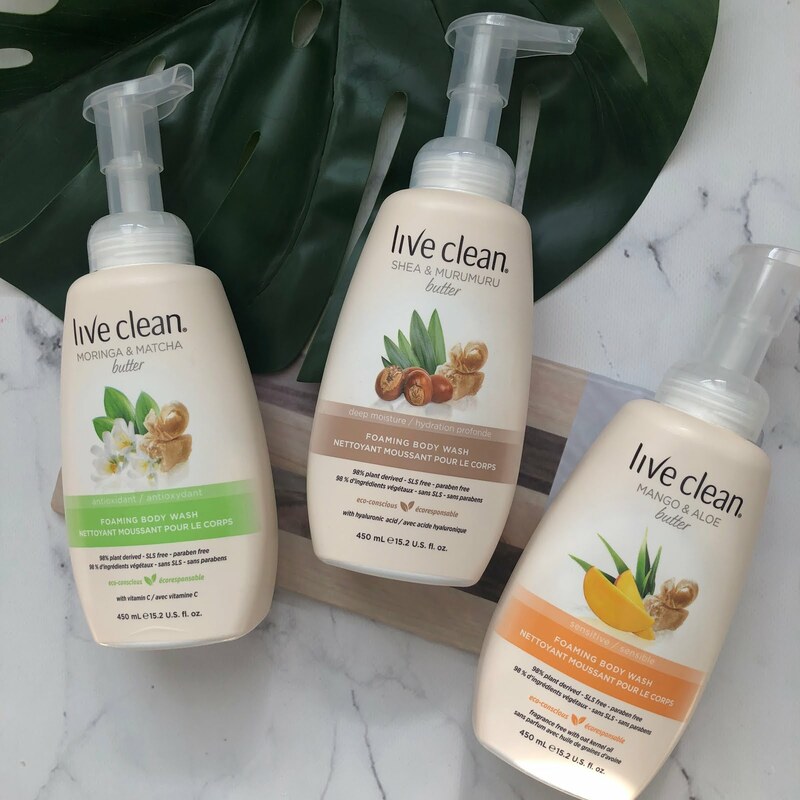 I have partnered up with Live Clean for another giveaway - this time with body products - three body washes and three body lotions. If you're interested in learning more about the giveaway, and about the brand and prize, then keep on reading below. 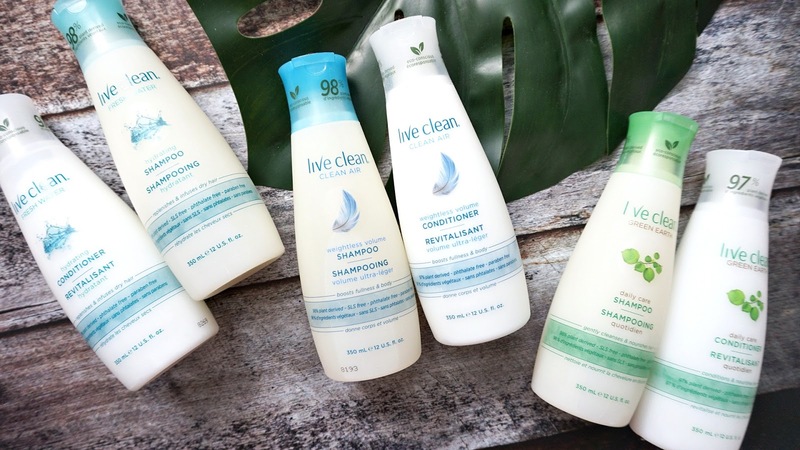 Live Clean was founded 11 years ago in Canada and they prided themselves in creating affordable natural and eco-friendly personal care products that work. Fast forward to present day, they have approx 100 products under their brand for a variety of uses as mentioned above and what I truly love about the brand is that they are still developed and manufactured in Canada. They also continue to abide by the following for their products: Minimum 97% plant and natural based ingredients, Certified organic botanicals, SLS, Silicone, Petrolatum, Paraben, Phthalate, DEA, PHosphate and Dye free. It contains biodegradable ingredients, never test on animals and have vegetarian formulas. They also use recyclable packaging and is hypoallergenic and dermatologist tested. Live Clean is available at drug stores, grocery stores, mass retailers and online. Certified organic botanicals of Lavender and Eucalyptus enliven Green Earth Invigorating Body Wash, stimulating the senses. Certified organic Jojoba Oil and fair trade Bamboo extract penetrates deeply, softening and nourishing the skin. The natural oils found in Coconut Milk as well as Apricot oil and Vitamins C, E and B deeply care for skin and improve its overall softness and beauty. Moroccan Argan Oil, which contains high concentrations of natural Vitamin E and is rich in essential fatty acids and antioxidants, combined with certified organic botanicals of Grape Seed and Olive Oils help protect the skin’s moisture barrier. Rich Coconut Oil moisturizes and hydrates, Sweet Almond Oil and Soy Proteins nourish and prevent damage leaving your skin perfectly soft and protected. Enriched with luscious tropical Coconut Milk, certified organic Apricot extract and Vitamins C, E, and B, this rich, creamy body lotion hydrates and restores moisture balance to dry skin, helps maintain elasticity and improves the natural beauty of the skin. 1. Please do not follow just to unfollow on Instagram, it's unkind and dishonest! I will be checking if you have followed both accounts (mine @mirandachan and @livecleancan) when the winner is selected. 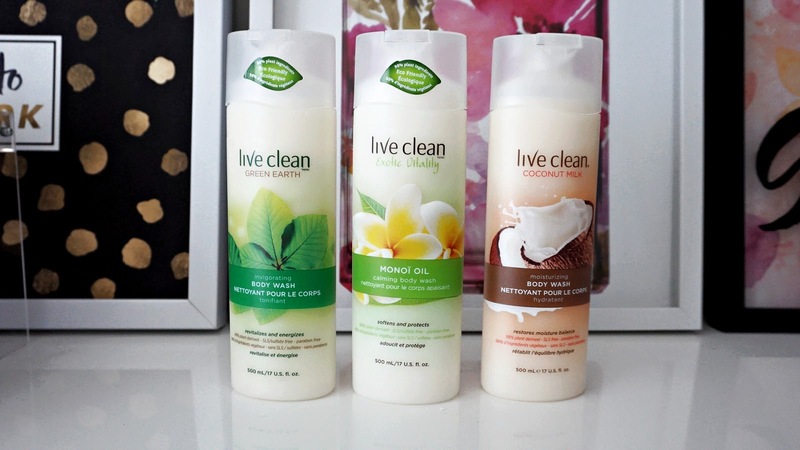 Love Live Clean products! Their coconut milk body wash is especially amazing! Never tried these products but I'd love to! We have been using the soap product, smells quite nice. Great product love the assortment! Thank you! Great! I love Live Clean products,thanks for the great giveaway! I am really interested in trying the Bali Oil body lotion. I like the quality of LiveClean products. I just got their Argan Oil hand soaps from Ambrosia (organic, eco-friendly, health food store + organic groceries) as it was on sale last month and it's super nourishing since I love washing my hands with soaps! I want to try the other products in their range!!! I'd love to try the Coconut Milk body wash and lotion. I love anything coconut scented! Fabulous Fabulous giveaway and a great product line. Heard great raves and reviews about this line. We have tried a few of the Live Cleanproducts and found them very good quality! love to try these products! I haven't yet tried Live Clean products except for the fresh face wipes which I love. All the body care products look awesome though! 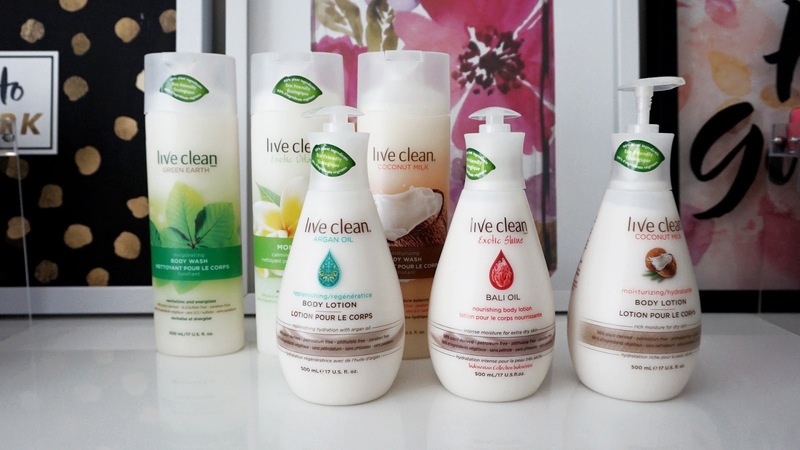 I LOVE Live Clean, I'm currently on a no-buy but when they used to go on sale at Shoppers I'd clean them OUT! Live Clean products are wonderful and smell great.